The damaged rock star is a familiar archetype in cinema and one we rarely seem to get tired off. There is something fascinating about watching someone, who was once idolized by many, hit rock bottom. Is it our sick desire to see those who have achieved more than us fall from grace? Or is it the fact that they are the most relatable, dare we say human, when they are confronting the deep sadness that reside within us all. Confronting one’s demons is a prevalent theme in Marshall Lewy’s intimate drama, California Solo. 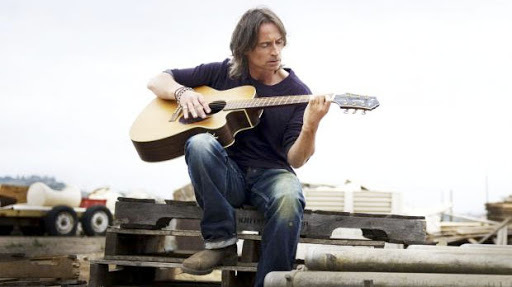 Lewy’s film revolves around a former Britpunk rocker, Lachlan MacAldonich (Robert Carlyle), who now works on a farm. When he is not busy driving into the city to sell the farm’s produce, Lachlan spends his time recording podcasts about famous deceased musicians. Despite trying to live a simple life, Lachlan is not without his vices. He frequently tries to erase the pain of the past by drowns his sorrows in alcohol. Unfortunately, his life begins to spiral out of control when he is arrested for driving under the influence and the threat of deportation surfaces. Despite living in California for many years, Lachlan left his Scottish homeland under circumstances that continue to haunt him. Desperate to stay in the United States, Lachlan is not only forced to face his past, but his present as well. As old wounds are re-opened, and his alcoholism increases, Lachlan must decide if he is ready to finally take responsibility for his actions? This includes confronting his ex-wife Catherine (Kathleen Wihoite) and trying to establish some sort of relationship with his 14-year-old estranged daughter Arianwen (Savannah Lathem). California Solo is a film about redemption, or at least the pitfalls we must go through in our quest for redemption. Lachlan is an interesting character in the sense that he goes from being moderately charming to downright despicable at certain points throughout the film. His selfishness will surely rub some viewers the wrong way, but it is a necessary element when looking at the character on a whole. Lachlan has wallowed in his grief and self-pity for so long that he has completely lost grasp on the ripple effect that his actions have had, and continue to, cause. Carlyle does a superb job in the role of Lachlan. He has the tough task of trying to keep Lachlan captivating even when the character is at his lowest moments. Though Carlyle is strong in the role, he cannot mask Lewy’s conventional script. As a result, Carlyle’s work is occasionally overshadowed by the mundane aspects of the film. This is especially disappointing considering that Lewy has several great ideas throughout the film that he never fully realizes. The most noticeable instance of this is when Lewy flirts with a possible romance blossoming involving Lachlan and a local woman, Beau (Alexia Rasmussen). Lachlan clearly has feelings for Beau, but she is already in a relationship with Britpunk aficionado Paul (Danny Masterson). 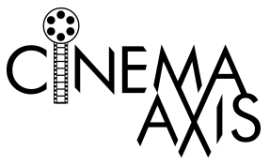 Unfortunately, just as the notation of a love triangle becomes intriguing, Lewy opts to take the film in another direction. By the latter half of the film, Beau who has been a key figure from the beginning is non-existent. In fact, this can be said for several of the supporting characters in the film. By playing it so safe, California Solo hits all the notes you would expect from a film with this type of subject matter. The supporting cast does a decent job with what they are given, but you cannot help but wish that their roles had been fleshed out more. This is especially disappointing considering how well Lewy delved into the many layers of Lachlan. Despite Lewy’s hesitations to take things to the next level, California Solo is a film that is satisfying though predictable. The film’s saving grace is the fine work of Robert Carlyle who works hard to raise the film above its conventional trappings.